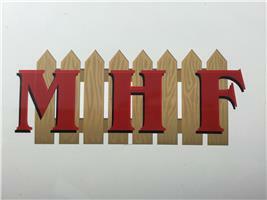 Marcus Hannaford Fencing - Fencing/Gates, Garden Services based in Upton St. Leonards, Gloucestershire. Welcome to Marcus Hannaford Fencing. With over 30 years experience I have become renowned for high quality workmanship and excellent customer service. I am friendly, polite and always very tidy - I always leave the site in a good state. Call me today for an obligation free estimate. Kind regards - Marcus Hannaford.